I am Ed Jones, owner and founder of Nutrition World. I have spent my life passionately involved in helping others in their journey toward holistic and nutritional health. The times we live in today demand becoming highly informed consumers in the world of health and disease. Over the past several years, I have witnessed an increased amount of risky advice from health professionals and companies, and I feel it is my duty to maintain a list of my trusted resources. Nutrition World continues to expand its heartfelt philosophy of being the “gatekeeper” for your health needs. Conveniently and affordably order online and get drawn at a convenient local facility. Coming Soon: Ed’s own recommended panels! 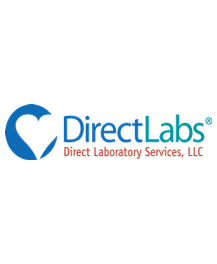 Direct Labs offers convenient online lab tests that can be drawn at local facilities. They offer excellent prices and included some difficult to find blood tests.